Welcome back to week 3 of the One Room Challenge Makeover. This week I worked on creating a desk made with file cabinets for my home office. I took two well-made file cabinets and added a shelf board to create a top. We love this idea because this gives you more room on the desktop. It is perfect if you are working with books and papers. This post contains some affiliate links for your convenience. You can read full disclosure policy. I can’t wait to show you my big thrift store score. I am even shocked that I found it! 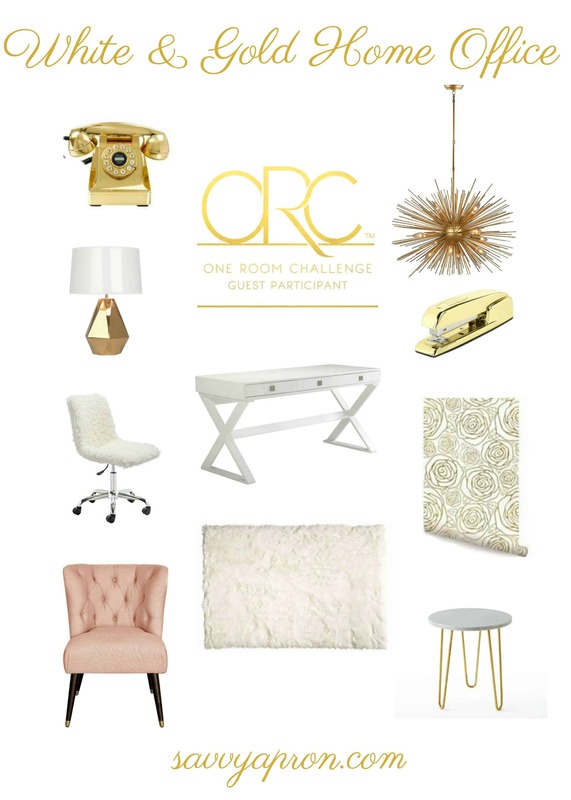 But first, if you are not familiar with The One Room Challenge or also known as The ORC, it is a 6-week challenge hosted by Calling It Home blog where designers and bloggers participating completely transform a room. Over 150 participants show the progress they have made every Thursday with the big reveal at the end of the 6-weeks. 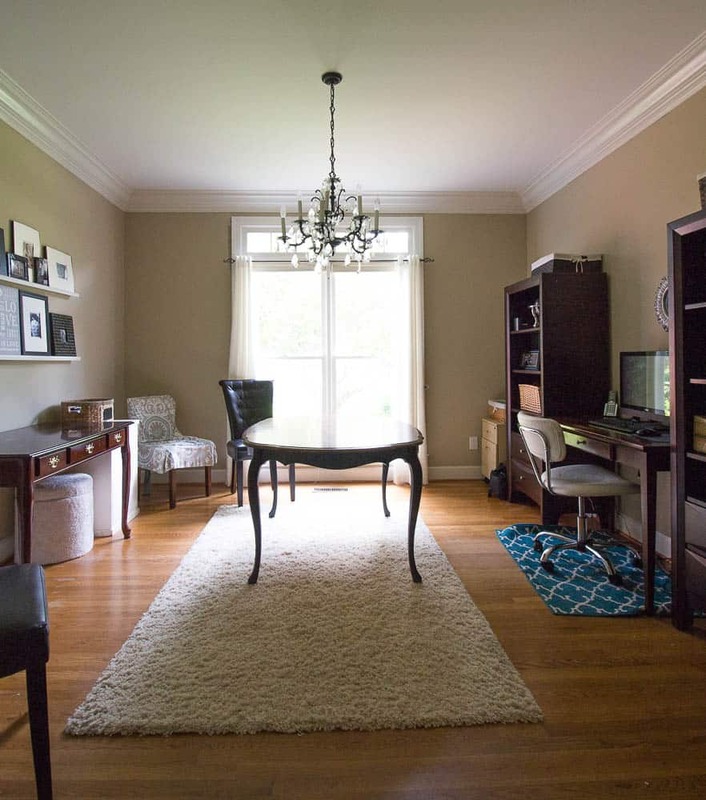 I am making over our home office which was originally a dining room. As you can see, the office is a mixture of desk and file cabinets. My inspiration for the new office is to brighten it with white furniture and gold accents. 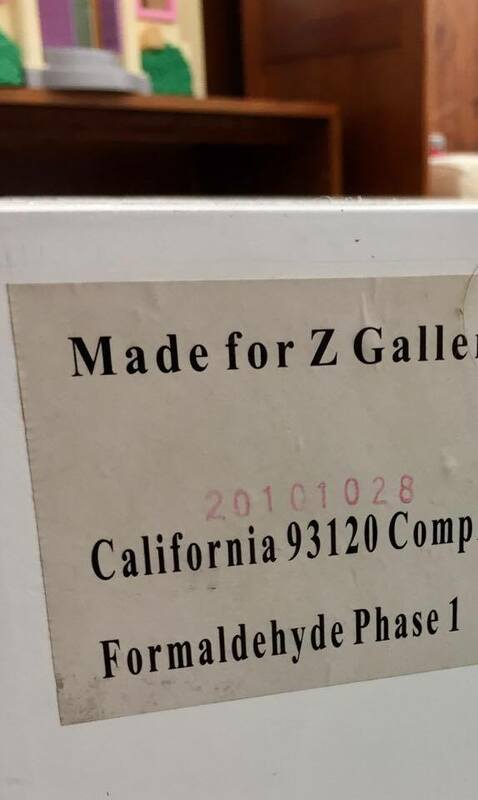 I had two white well-made file cabinets that I had purchased several years ago. The file cabinets are so nice that I wanted to keep them so I decided to purchase a board for the top to give us a large work area. I measured the space between the file cabinets for my board. I took the measurements and headed to Lowes. I figured that I would have to cut the board that I purchased. 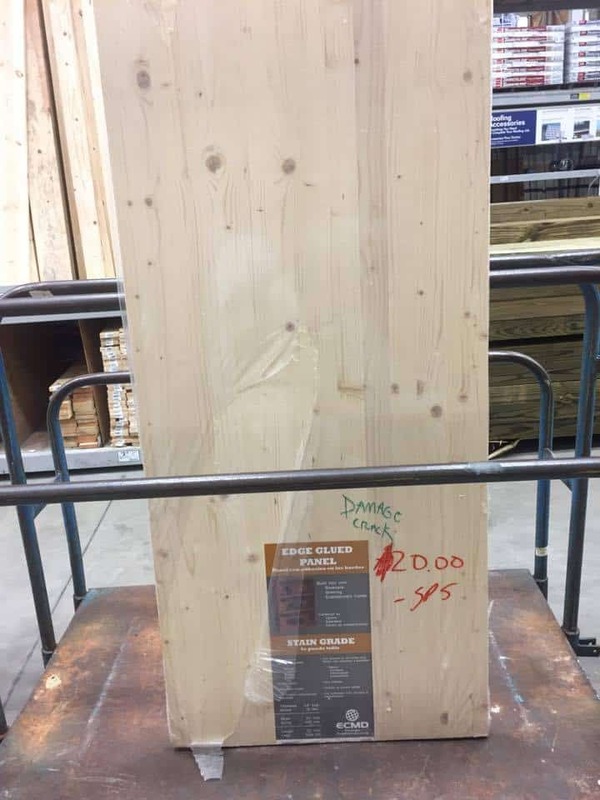 While I was going through the wood, I saw this board that was reduced by half of the price because it has a tiny crack in it. I am all about some scratch and dent markdowns. The best part is that it is the perfect measurements and I am not going to have to cut it. Win!! Since this is our family office, I wanted to paint the desk with something that would hold up to us moving things around on the desk. 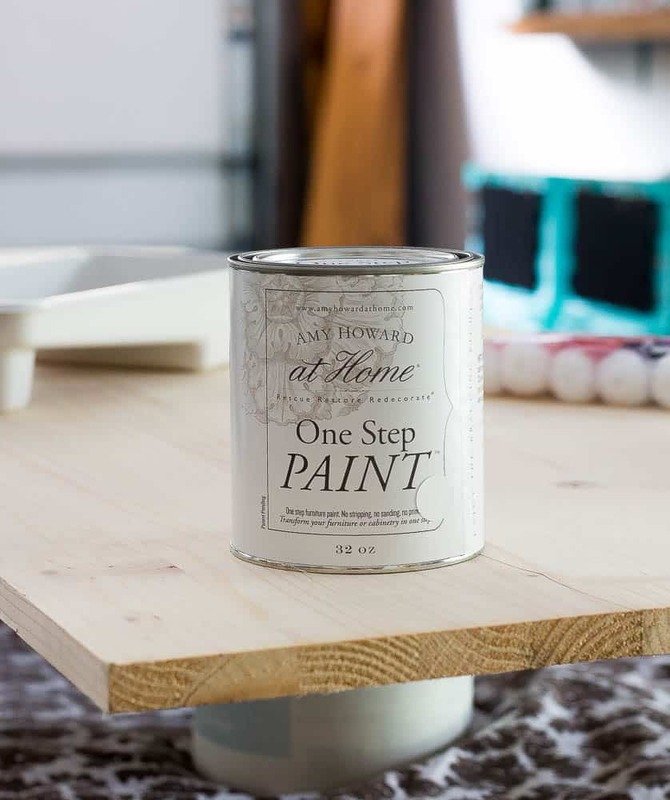 Amy Howard One Step paint is my go-to for durable paint that will last. It also covers so well that I only had to use two coats. I think the desk looks perfect and it is very functional for us. Are you ready to see my best thrift store score? When I first made my vision board, I wanted to create a desk like the one in the center of my board. The desk from Z Gallerie is $599.99. My first plan was to take a desk that I had, remove the legs, and build new legs. 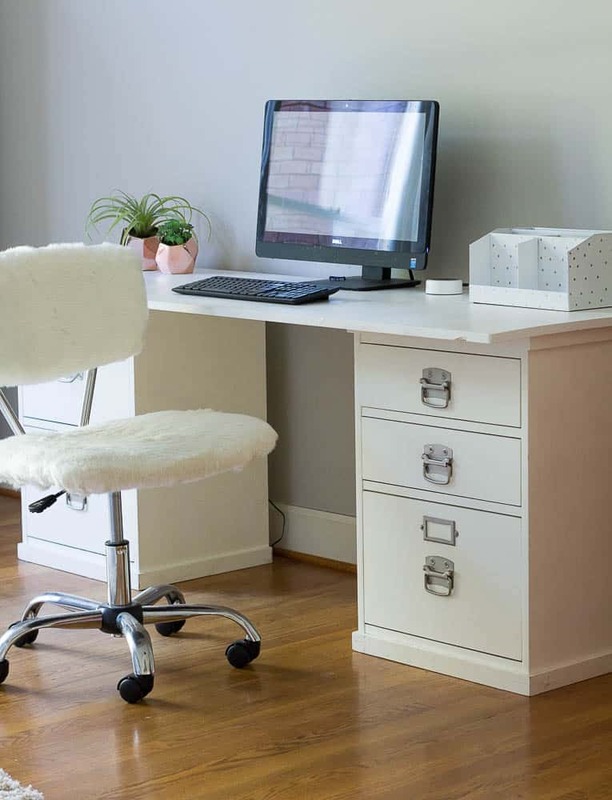 If this project did not work, I was going to purchase a desk like the one from Z Gallerie but I was planning to search for a similar but less expensive desk. 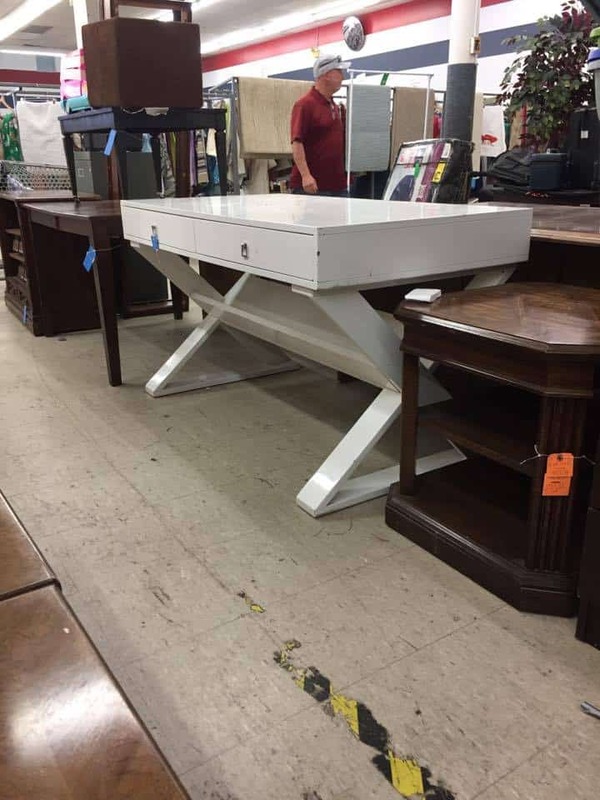 While I was on my weekly visit to my favorite thrift store, I saw THE DESK! I couldn’t believe it. It has a few tiny scratches that paint will fix but other than that, it’s perfect. Here is the craziest part….. It is the table from Z Gallerie. My husband should be thrilled. This desk was priced at $40 and I had a 10% off coupon. Every once in a while thrifting pays off big! Next week, I will be doing a paint technique on the wall behind the bookcases. I have ordered my dream light fixture and if it is delivered this week, we will have it installed. Also, I will be doing a few small DIY projects for the new office. Don’t forget to check out all of the other participant’s rooms. I think you will be amazed. See you all next week! What a wonderful find!!!! How lucky to come upon the same desk you wanted for such a great price!! You go girl!!! I need to hit some thrift stores!!! What a great find!! And such a great price! Incredible find! 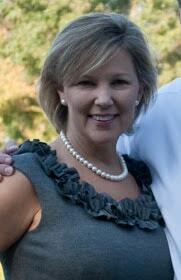 Almost too good to be true – I am so very happy you found it! 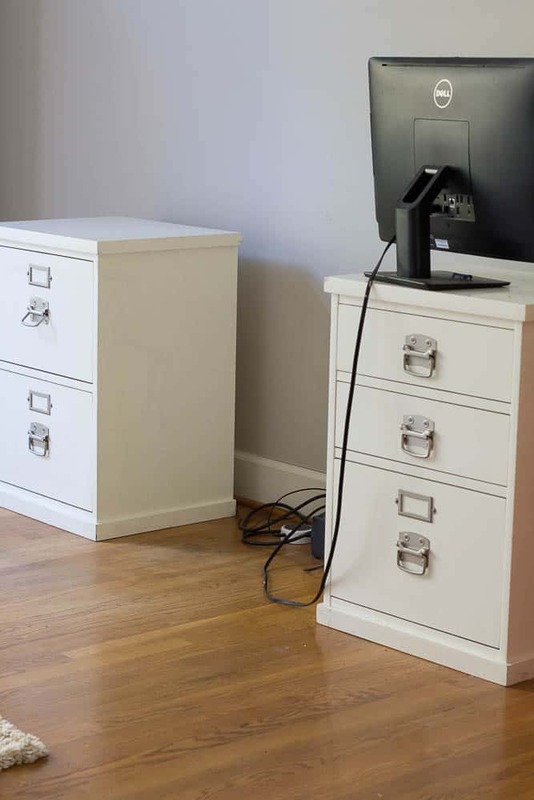 I love the additional filing cabinet desk you created – this space is going to be functional and gorgeous! Can’t wait to see the entire space on reveal day! Congrats on the incredible find!!! 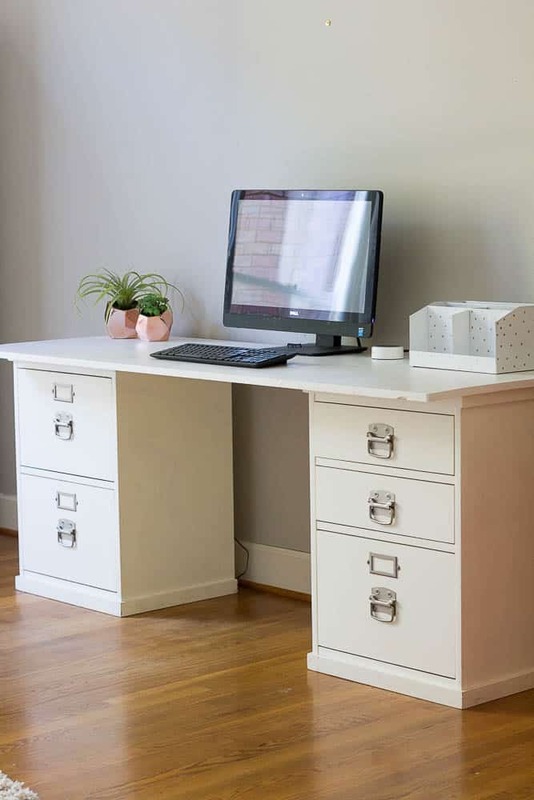 I love how the file cabinet desk turned out too! Seriously!!! You always find the best stuff thrifting! I want to go with you next time!!! I cannot believe you found that! I am so jealous! And, I love the other desk you made as well. 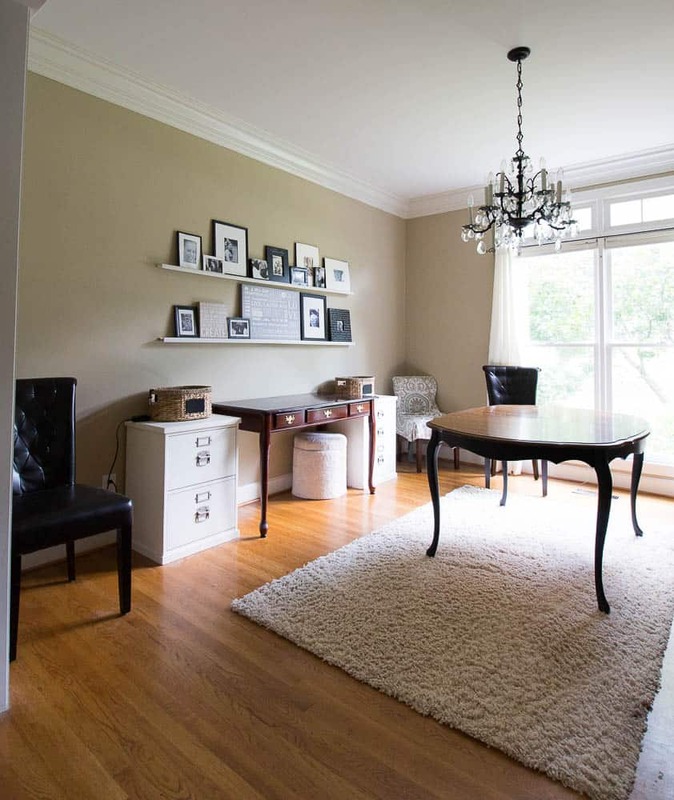 it is great to have more than one space to work in a home office! I can’t get over the thrift store desk. I love it!!! It’s all looking really great . I look forward to seeing how the wall comes out. Sherry that is quite a find. For practically nothing and it looks so high end. I also really like the way you built that other desk with the file cabinets. That is going to be one gorgeous office. I also made a desk from other objects. My is from old cabinets and a door. Yours turned out much more elegant and after attending Amy Howard’s session at Haven I’ve been meaning to use some of her great products at home. Maybe I can give my desk a makeover with her paint. Thanks for the inspiration! You know I am a big green eyed monster because of your thrifting skills! 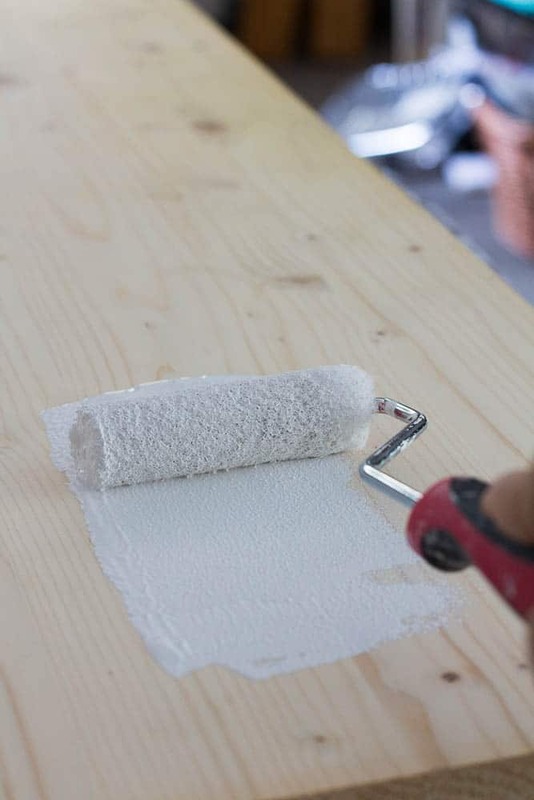 Your office is coming together fabulously…Can’t wait to see the final project. And I know you will get tons of use with the table you made!